Mel McLaughlin responds to Chris Gayle. Chris Gayle furore: Mel McLaughlin shocked by inappropriate comments during Big Bash broadcast. 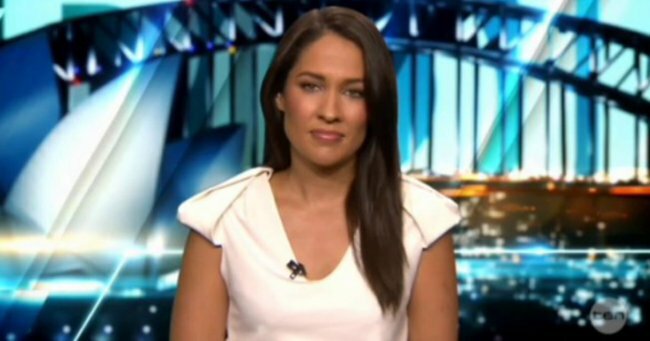 Television sports reporter Mel McLaughlin says cricketer Chris Gayle’s inappropriate comments took her by surprise despite suggestions she should have known what to expect from the West Indian batsman. McLaughlin interviewed Gayle as part of Network Ten’s Big Bash League broadcast as he came off the field after scoring a quickfire 41 for the Melbourne Renegades against the Hurricanes in Hobart on Monday night. Gayle commented on McLaughlin’s eyes, before suggesting the two “have a drink later”. On Tuesday, Gayle was fined $10,000 for the comments by the Renegades with club chief executive Stuart Coventry describing Gayle’s comments as inappropriate and disrespectful. “It was more that it was unexpected,” McLaughlin told Network Ten on Tuesday night. “You don’t expect to get that sort of answer and [it was] a little bit disappointing because I’m not used to seeing that. McLaughlin hopes to never be in that situation again and is pleased people are talking about the incident. “I don’t really want to be the subject of such conversations,” she said. “I just like going about my business and doing my job but [it’s] definitely a good thing that people are talking. Dave Barham, Network Ten head of sport, was asked if Gayle will be mic’d up in future. “Probably not. I sort of lost a bit of confidence in knowing what he’s going to say in all honesty,” he said. Speaking to Grandstand during a washed out day three of the third Australia versus West Indies Test, Fox Sports reporter Neroli Meadows — a former colleague of McLaughlin — said what happened to McLaughlin was not an isolated incident in sports media. “It happens, situations likes that, 10 times a day when you’re a female in this sports industry and that’s just a fact,” she said. “Whether it’s the fact that the women’s toilets aren’t open and the men’s toilets are, whether it’s somebody saying something slightly inappropriate to you as you walk down the hallway, 10 times a day, without fail. “We do not need that to happen to us in our workplace because that is what it is, our workplace and Mel has been doing her job for 10 to 15 years and she has done it with respect. Her career now gets defined by this. “The same thing has happened to me, the same thing has happened to Yvonne Sampson at Channel Nine, the same thing to Erin Molan at Channel Nine. We have successful careers and they get defined by idiots saying the wrong thing, inappropriate and then other people laughing as though it’s the one thing that has ever happened. Of course it’s not. ESPN Cricinfo reporter Melinda Farrell said it would be unfortunate if McLaughlin’s career might now be defined by the Gayle interview. “It is horrible to see her put in that position,” she said.